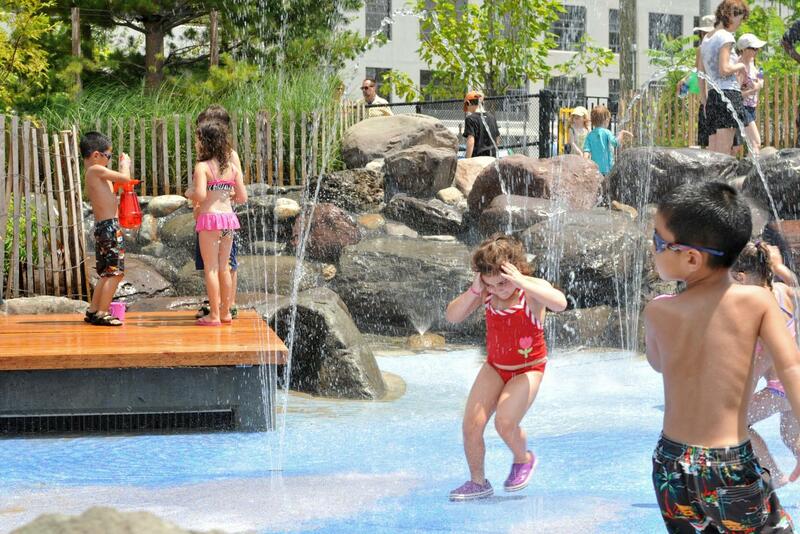 Pier 6 is a popular destination for children and adults alike. 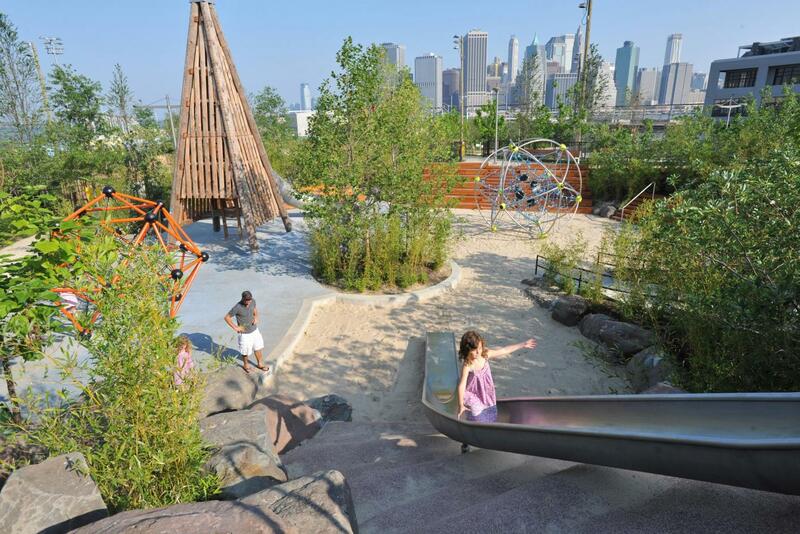 Whether checking out one of the playgrounds or playing in a tournament at our sand volleyball courts, Pier 6 offers several great attractions. A lush, welcoming landscape completes the outer two-thirds of the pier. 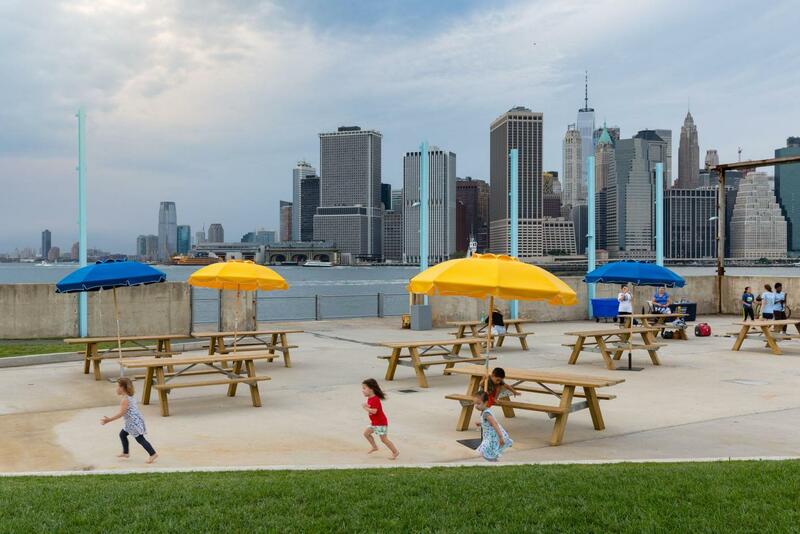 Designed by Michael Van Valkenburgh Associates, its large lawns and planted areas provide a relaxing retreat from the more active offerings at Piers 5 and 6. The sweeping Flower Field and surrounding plantings transport visitors to a beautiful, natural environment and the large lawn areas will host exciting public programs. 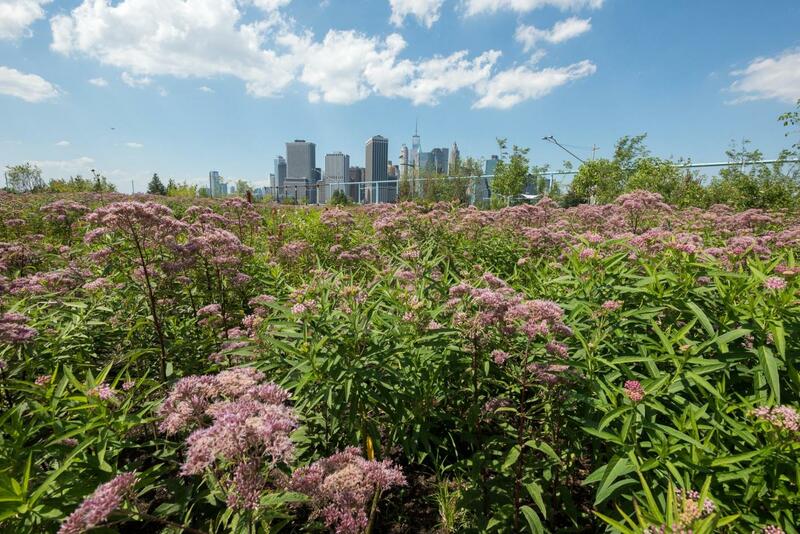 Planted with a diverse array of native plants and trees, the meadows and lawns create a green oasis while offering spectacular views of New York Harbor. 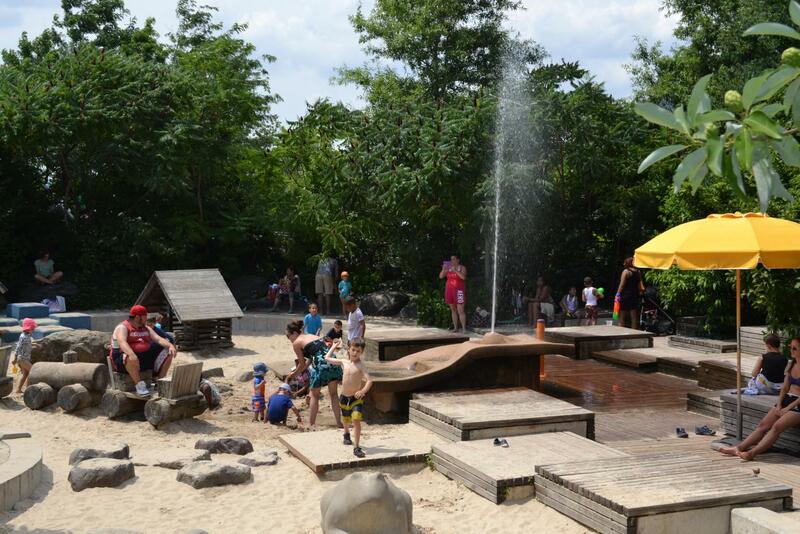 Swing over to the ultimate playground headquarters for kids and adults alike, where water jets, volleyball courts and jungle gyms surround the largest sandbox in New York. Remember, there’s fun for Fido too - Pier 6 has a dog run. And when the family is full up on slides and rope climbs, it’s time to fill up on delicious food at Fornino’s Pizza. Park restrooms can be found on the first floor of Fornino. 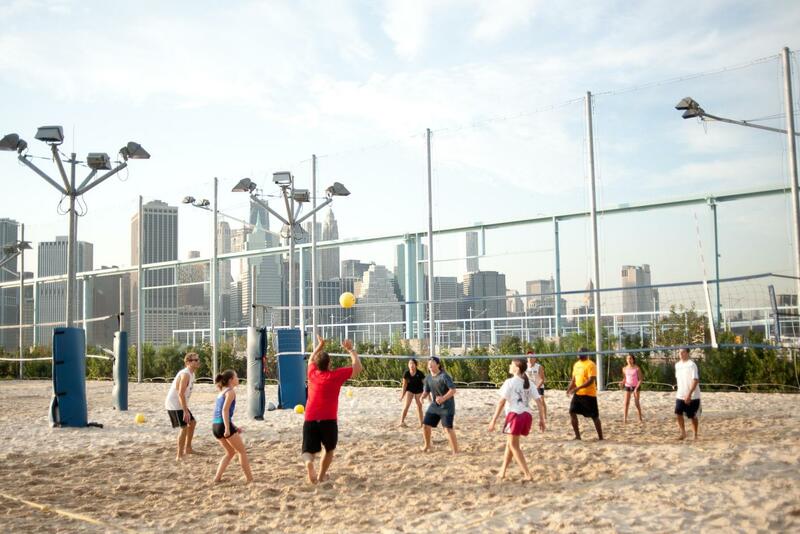 Our sand volleyball courts are another popular attraction at Pier 6. Join in for open play time or make reservations on one of three regulation size courts. Click here for more information on how to play. Docked on the north promenade of the pier is Pilot, a rare Grand Banks style schooner built in 1924. In addition to its sustainable seafood restaurant, Pilot also functions as a living museum and center for public programs. 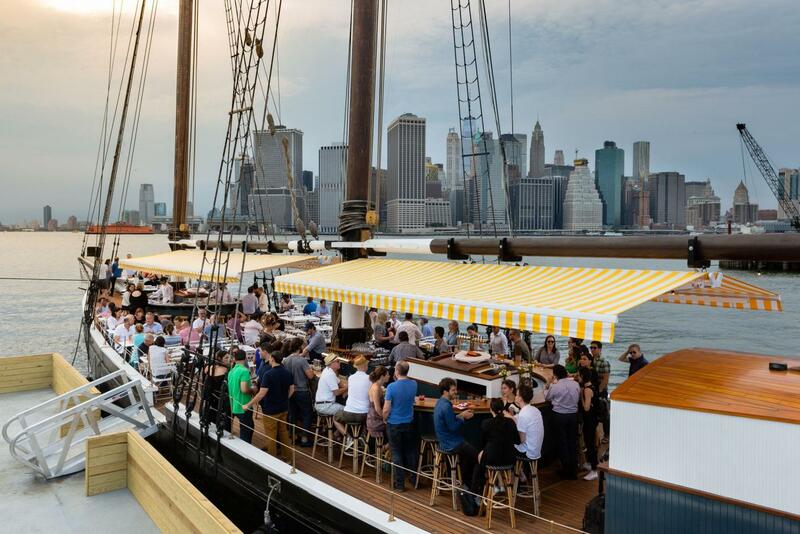 During its operating season, Pilot provides free public access, allowing passersby to step aboard and explore the historic vessel at their own pace. Public program offerings include guided tours (upon request), lectures and educational opportunities for both children and adults. 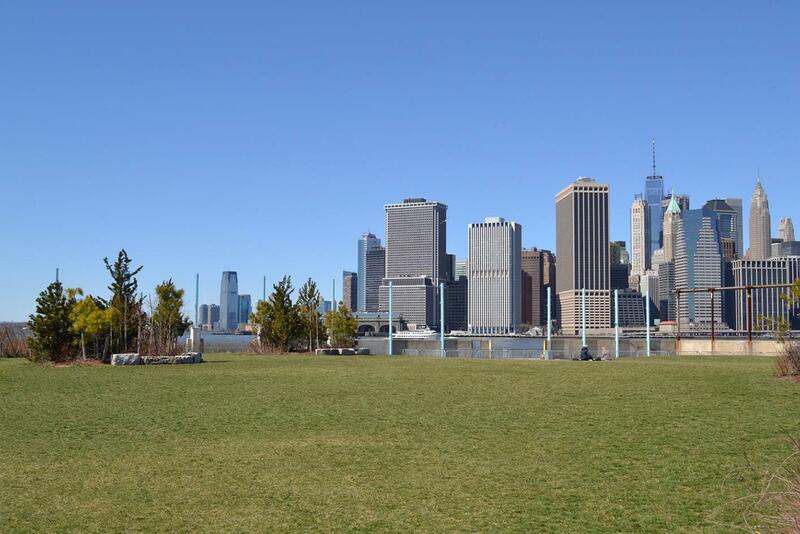 The lawns at Pier 6, including Liberty Lawn, Ferry Lawn, and Court Lawn, provide great open spaces for taking in the sun, relaxing with a good book or hanging out with friends. 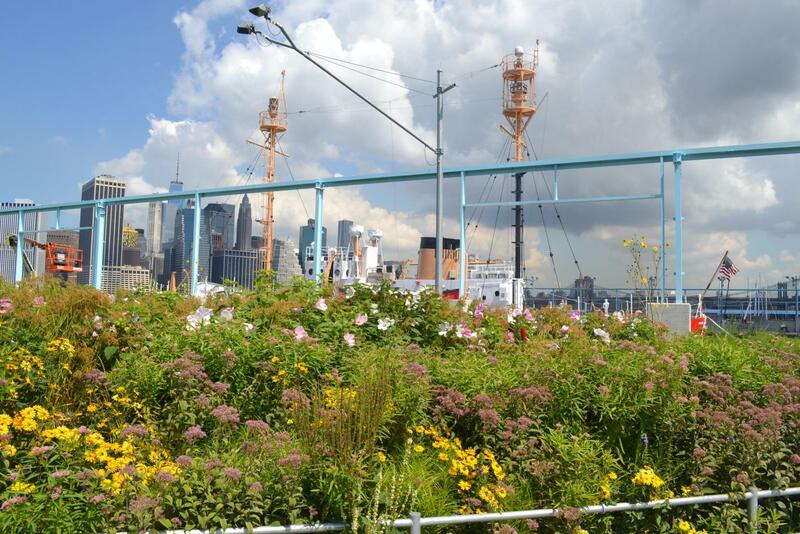 These lawns are planted with a diverse array of native plants and trees and offer spectacular views of New York Harbor. A ferry dock is located on the southern edge of Pier 6 providing service to Governors Island. 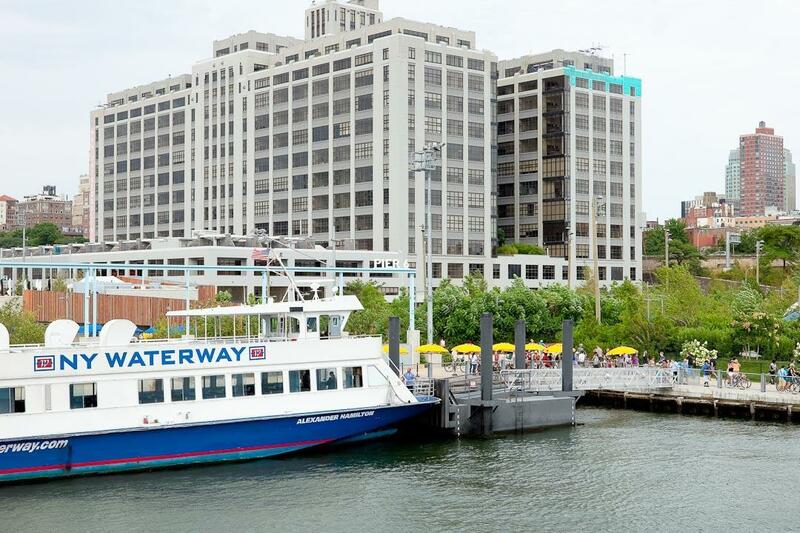 The ferry operates Saturdays, Sundays and holiday Mondays from Memorial Day to October 31. Click here for more information. 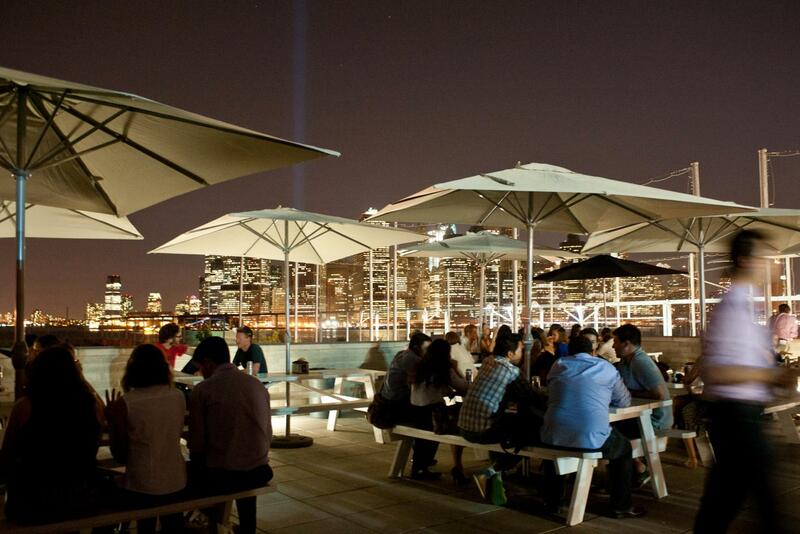 Pier 6 is easily accessible by the B63 bus which stops at the foot of Atlantic Avenue. Click here for directions. Click here to download the Pier 6 Open Court Calendar.